Welcome to the third installment of ‘Tales from the Wild Ride‘, the story of the 2010/11 Jupiter/Uranus conjunctions’ impact on a group of ‘ordinary’ lives, which will now unfold on a regular basis until next Spring 2011. Research into psycho-sexual development ran apace the first two weeks, particularly regarding the Black Moon. Am beginning to understand sexual development in a new way–have hit on a few new ideas and some new research in this area which runs contradictory to much current thinking, but is very much in keeping with what we know of the asteroids. Definitely a physical burnout related to mental overload. Slept deeply 10 (sometimes more) hours per night. Muscle aches and inflammation related to peri-menopause exacerbated. 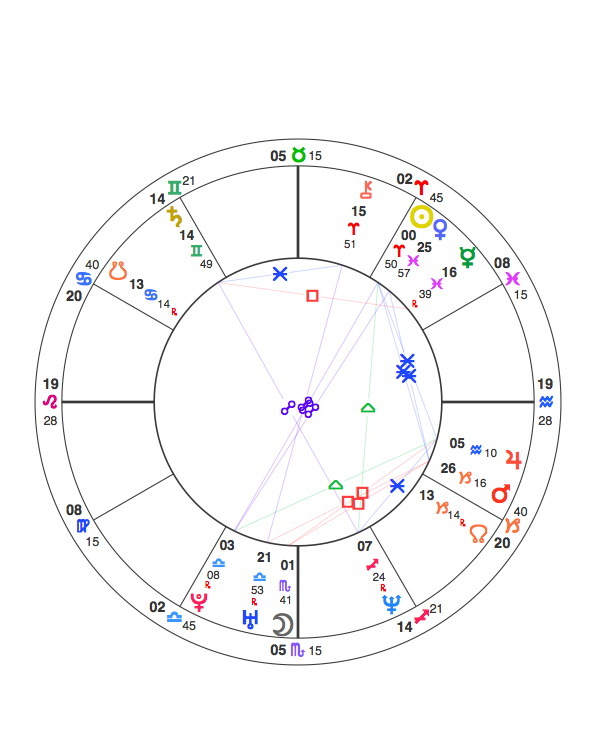 (Natal Moon/Uranus conjunction again.) Starting to dream again, after a long non-dreaming period. An odd thing happened on the 7th-8th. A signed contract (7th house) once belonging to the object of my obsession became available at auction. I now own it. No one else bid for it, which is strange because the signature alone is worth something and the document in and of itself has historical interest. The period was not a pleasant one – if life remained as it was in that period I’d probably give up on it! I felt like I was caged, being held against my will in a restricted space and unable to fulfill my potential or assist others to fulfill their full potential. I felt as if there was a battle raging, a battle between those who are compromised and disadvantaged, those without money and without power, and those empowered through their financial assets and the freedom that they bring. I felt as if the world’s wrong doers – the irresponsible, the uncaring, the selfish and the reckless were holding all the cards and that the only way to redress the balance was to outsmart them, to be nimble, quick-witted and bold – always keeping several paces ahead. I felt as if the situation was escalating and coming to a head – perhaps no time soon, but gaining momentum nonetheless. I can’t say I felt any great climax of events or any major shift between the 1st and the 7th June. The scenario was more a case of the pressures on me reaching a peak at the end of May and remaining constant at that level into early June. The scale of the challenges didn’t reduce in size and instead continued to escalate. However, what became apparent in June was a matching of strength – as the powers working against me became stronger, the powers working in my favour dramatically increased in size. Nothing notable happened events wise on the 8th June – though the evening of the 7th June was a real low point and a time when I felt utterly despondent, but emotionally I was starting to feel more empowered that day (i.e. I went to bed the night before thinking I may as well give up and woke up thinking ‘what the hell, I’m not giving up now and I’ll give this one last go’). There were no significant meetings or conversations that day, but I was generally feeling more upbeat than in May, as I was starting to see the overall shape of my situation improve and realised that while there were temporary obstacles, the long-term picture was becoming positive. This was a period of extreme ups and downs. I usually keep things on a fairly even keel, but it was impossible to do this during this period. The scale and potential of the opportunities being presented to me during this period by far outstripped any of my past and illustrated the benefits of sticking with my plans. One thing that was in no doubt was the esteem in which I’m held and with which my project is regarded. However, at the other end of the spectrum, my situation was becoming increasingly difficult in the short-term. Financially the first 6 months of 2010 have been absolute hell and having gradually got worse across March, April and May, things became no better in June, for while medium to long term opportunities were presenting themselves left, right and centre, in the short term nothing at all was coming through. I felt as if carrots were being dangled, just out of reach, at a time when I’m financially starving and can’t hold out any longer. Again, what became apparent was that an ‘all or nothing’ attitude was needed – taking risks and being brave. Had I reverted back to old ways of doing things and gone into reverse, all the groundwork I’d been doing since early 2009 would have been undermined….. I decided to carry on battling away to achieve my aims, even though I risked losing absolutely everything to do this and there was no certainty that the taking risk would work in my favour. Emotionally the thing that kept me going during this period was the opportunities lining themselves up to roll out from October 2010 onwards. The period was, like March, April and May, extremely stressful and full of many low points at which I wondered how on Earth I’d overcome the obstacles before me. However, not one, but several incredible opportunities were introduced to me at this time and though I was very conscious that I was ‘up against it’ I was also aware that some very powerful allies were working away to help me – opening doors for me, giving me encouragement and flying the flag for my project. I felt a little like a Premier League football player flanked by a large entourage of bodyguards, as he made his way through a riotous crowd of fans from his opposing team throwing insults and missiles in his direction. 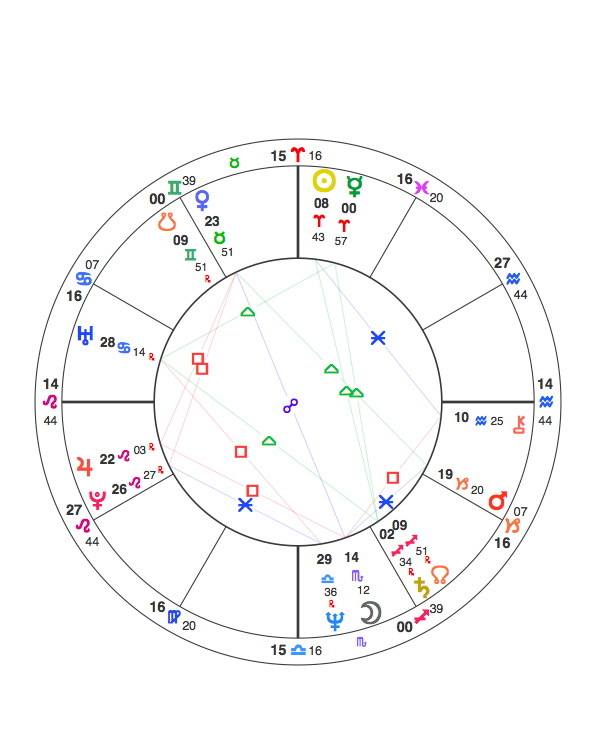 Jupiter-Uranus oo Aries conjoined my natal IC oo Aries 58, triggering deep issues about emotional safety, security, wellbeing, belonging… old feelings of abandonment surfaced. I experienced deep depression, lifelessness, isolation, and withdrawal. …… paternal abandonment is a family theme……. The anxieties I experienced May 28-June 6 were related to birthing and infancy. I re-established contact with friends, and feeling less isolated my abandonment anxieties calmed. This was the beginning of the ending of a significant relationship that I had expectation of becoming an intimate romance. Familiar, family related, feelings of disappointment and betrayal surfaced. April – June I had, and continue to have, many thoughts and feelings about where and with whom I belong in life. Relationships with dear friends are in transition and I am gaining a more clear perspective of my worth and value. My struggle is separating from my past and finding the courage to break free move with self assurance and confidence into a creative, new present. The week of the 14th was certainly memorable. My partner was asked on the 16th as part of an email conversation which began on the 14th, if he had an interest in joining this new company in Switzerland that he had spoken with in May. This led to making plans for him to travel to Zurich to meet with them in July. 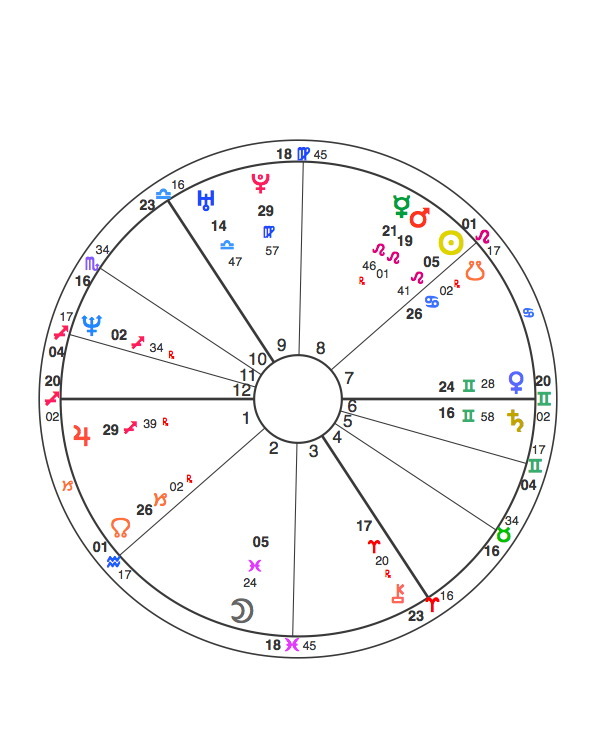 Consequently, he ended up going and meeting with them the week of the Solar Eclipse which was conjunct his Progressed Mars, ruler of his 9th House. Sent an ultimatum along the lines “we marry or nothing” to my love interest on 2 June. Realised that my not-so-soft- spoken Mercury was on overdrive, probably helped along by the square from Pluto. No filters in speech nor any niceties. 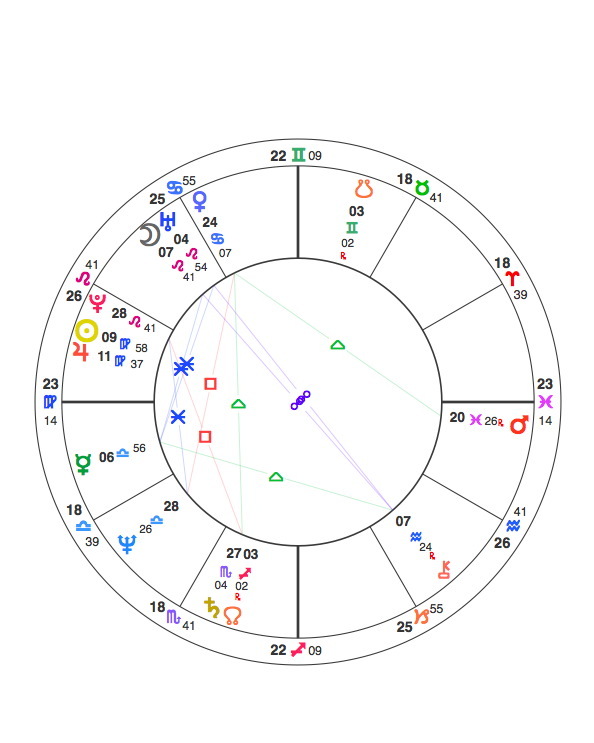 Realized a need for self-discipline with my mouth if not willing to lose all my friends by the time the influence of these transits will be over. On the day of the conjunction two Buddhist monks in orange robes were chatting below the balcony of the friend with whom I travelled to Barcelona. Her comment: “Now I have seen it all”. A very unusual thing to happen in her life and in her environment. Find this incident hilariously funny. 9-15 June organizing the Odyssey. Endless e-mails and calls. Promises and threats. Love and hate in turns. Ended up being called Kirki . Reconnected intimately with a guy I dated and was very obsessed with. Went together to a book launch event and after-party in West Hollywood. A truly emotionally horrible (meltdown) period begins and hits a boiling point. -The amazing events invitations continued with one on the Paramount Studios backlot, another a free dinner at a high end restaurant. 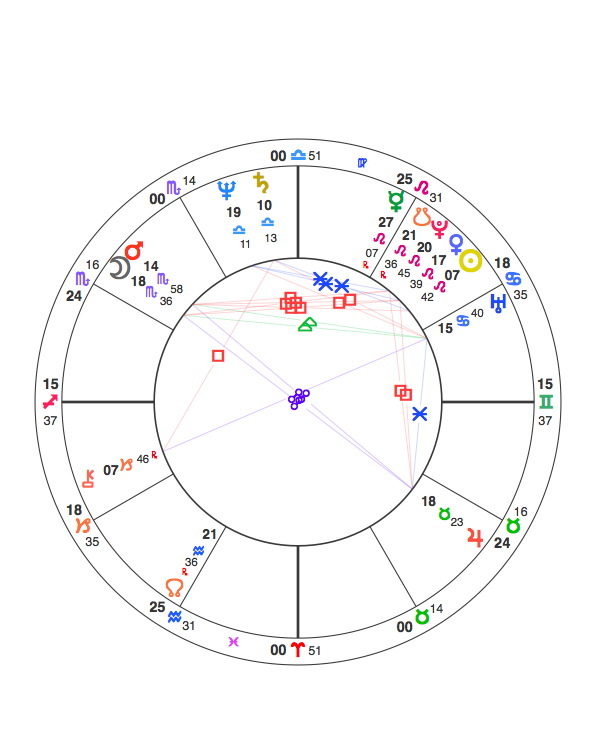 -Was building a friendship with a guy I dated last year (it ended quickly and badly) from March through the Jupiter/Uranus period. We started to get closer platonically, had an indiscretion June 8, he went back to being distant claiming he only wanted a friendship. -Same weekend got stood up by a guy I was lightly dating–which strangely sent me into a tailspin. 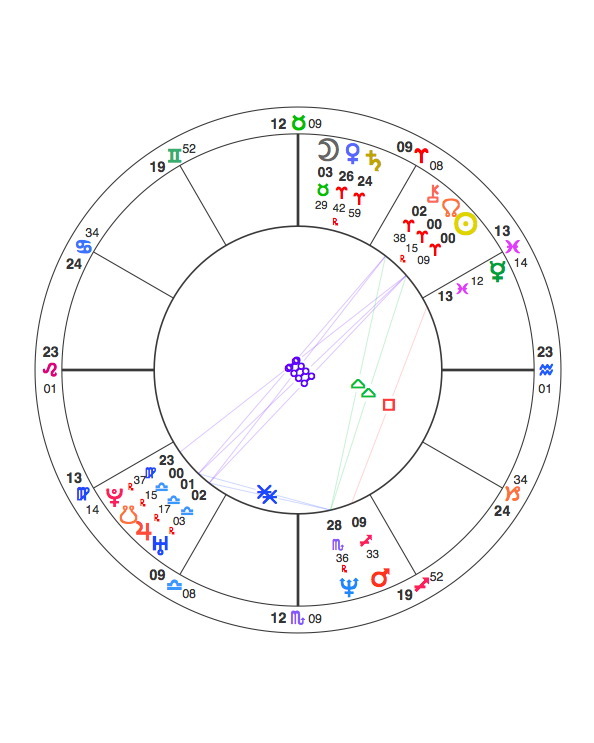 NOTE: Around the time of the June 26 eclipse I felt a major energy pull–breakdown, issues with my work, flea infestation in my house, rethinking being a homeowner, etc. This entry was posted in Tales from the Wild Ride : Jupiter/Uranus 2010/11: Real Lives in Action Parts 01 - 6 and tagged 14-year Jupiter/Uranus cycle, 1997 Jupiter-Uranus conjunction in Aquarius., 2010/11 Jupiter/Uranus conjunction, American Federation of Astrologers, Anne Whitaker, Jupiter-Uranus conjunction in Aries June 2010, Jupiter/Uranus conjunctions in Aries and Pisces of 2010/11, mundane astrology, Uranus in Aries, Writing from the Twelfth House. Bookmark the permalink.